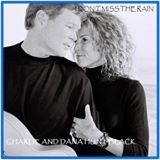 Saturday, January 24 - Charlie and Dana Hunt-Black are back at Bowery Station from 6-8pm. These singer songwriters have written hits for greats such as Anne Murray, George Straight, and Clint Black. Their live show is one not to be missed as this gifted duo plays their songs with talent and heart. It's an honor to have them grace the Bowery Station stage.